On professional side, I've been working with computers since I was 8. Since I ended my graduation, I worked at MStech company in Brazil, mostly on software streaming and remote boot projects – some of them ended in some of the Citrix products. Then I worked for a few months at Microsoft (within the NTFS team). And then I went to Mandriva. 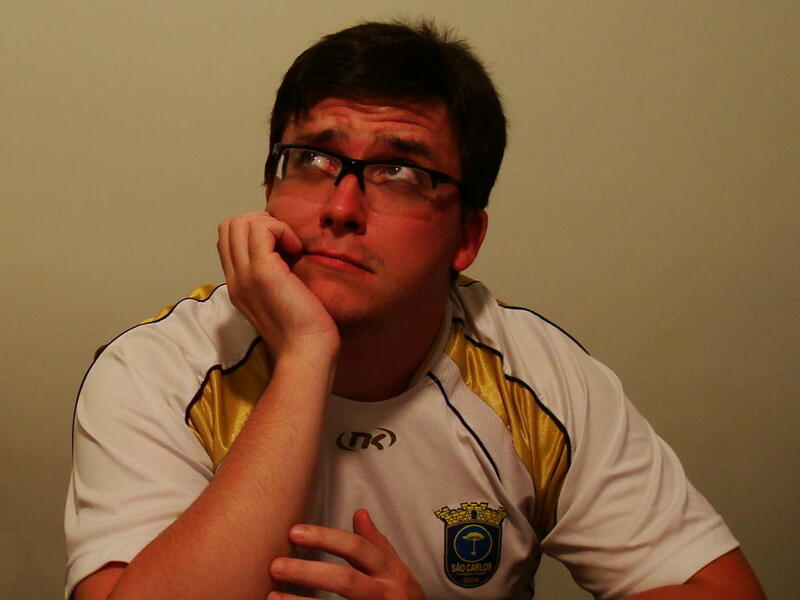 While there, I was initially responsible for security and network applications development, then I became the leader of Brazilian team (formerly Conectiva), and for the last months there I was responsible for all the desktop-oriented products development. Right now, I am at Intel, working within the Intel Linux Graphics team. DD: Is your work for Intel still in Linux area, or the focus has changed? ED: I always end up working with something related to Linux – even while I was at Microsoft, I still had Slackware on my machine :). Within Intel, I am working within the team responsible for developing the GEN graphics drivers (e.g., the graphics drivers for the Intel GPUs – not the Poulsbo ones). I am working on release management, hardware enablement, power and performance tasks, and so on. There is a nice overview of what our group does which I did on past Linuxcon, it is available on the internet as well. DD: Before Intel, you worked for Mandriva SA. You know the company from the inside. I know there were many changes in Mandriva in last couple of years. The most-known change was a split in the team, forking out the Mageia project. What do you think about it? ED: Things at Mandriva for the past years have been more complicated due to some internal problems. Partly due to this, the Edge-IT company, which was part of the big Mandriva group, which also contained Conectiva and Linbox, was liquidated to help solving some debts with the French government. The employees who were working at that company had left. This, at least for me, was really unfortunate, as some of the most brilliant Linux developers I ever met happened to work there. At the same time, the relationship between Mandriva-the-company and Mandriva-the-community was never 100% solid. In the past, it has already resulted in different spin-offs like PCLinuxOS, for example. Therefore, this break-up between Mandriva and Edge-IT has motivated the ex-Edge-IT employees to form a new distribution, with different goals from Mandriva. While Mandriva was focused on more in-house development, Mageia was formed with the goal of being Debian-like project (e.g., fully community oriented). In the end, I always said that it would only benefit the open-source as a whole. The more options we have, the better. It is really great to know that both companies managed to produce amazing products – both Mageia 1 (and now, Mageia 2 beta), and Mandriva 2011 has introduced lots of good innovations into the Linux landscape. DD: You decided to go a different way – to join the Intel team. Why? ED: In a few words, after several years I guess I got tired of working on a distribution development directly, and wanted to work on something new. And Intel certainly has lots of amazing projects and challenges, while working very closely to the open-source world at the same time. Of course, the “living on the edge” way of Mandriva of the past years (constant bankruptcy expectation and constant challenges to remain in the business) had their weight as well. But they weren’t the main issue - if I wouldn’t have trusted in the Mandriva future, I’d left much earlier. Mandriva has got through probably its worst timing around 2010-2011, with most of the team leaving, hard financial problems and overall lack of vision for the future. And looking back now, I believe that we managed to overcome most of the problems we had - back in the end of 2010, almost everyone had expected that Mandriva 2010.1 would be the last Mandriva release ever. Yes, after we have lost the release managers, the people who knew how to build ISOs, how to manage the build system, and even how to maintain most critical packages - it really looked impossible to get something done. But even so, Mandriva 2010.2 got released. And it is still considered as one of the best Mandriva releases ever by many. Next year, we managed to restart from scratch the development with completely new teams and goals, and finally we got to the Mandriva 2011 release. Of course, not everything went as planned - but I still believe that in the end we got to very impressive results. And when the team was rebuilt, we had new set of management, and things were going smoothly again - I figured out that it would be the best timing for me to leave in search for other opportunities. DD: If you were forced to choose between Mandriva and Mageia teams, without an option to leave, what would be your choice? ED: I'd stay with the Conectiva team :). But if there is no such option, I guess I'd ended up working on both of them – specially as most projects have lots of common code. It is a hard choice though - right now, most of the developers who I got to work with at Mandriva belong neither to the Mandriva nor Mageia teams - caio1982, fcrozat, pterjan, claudio, miura, olavo, salem, boiko, teuf for example are working on some very new things. From Mandriva team, just to name a few, there are still bogdano, pcpa, santiago, neoclust and aginies who are within the company; from Edge-IT, there are ennael, rtp, romain and blino who are mostly involved with Mageia. They are all my friends, and I’d really hate to choose one side to join in this discussion. Luckily, in the end, this is why Open-Source rocks - you do not necessarily have to choose a side. And this is great! DD: What do you think about the current status of Mandriva as a company and as a project? ED: Mandriva as a company has always had a troublesome life... Since before Mandriva was formed, both Mandrake and Conectiva had got through difficult times. And with their fusions, things also weren't well on the commercial side at all times. There were some huge wins, but also some unstable periods. For the past years, I believe that Mandriva has got through probably the most difficult times in its history. I don't know much of the internals of the company since I left, but I hope things will settle at some point. It still has some great developers, and amazing products; and with Russian forces provided by ROSA and Penguin soft, I'd say that it has one of the top task-forces for building innovative and outstanding distributions for the desktop. For Mandriva as the project, I believe that things should go great as long as Mandriva the company is alive. But it is hard to say something more specific, mostly with all the news coming out for the past months. DD: Mandriva has strong “relationships” with both Russian and Brazilian governments. Being supported by the authority of Mr.Reiman in Russia, it has good chances there. Also, there is a big project happening in Brazil – the Classmate PC. Have you been involved in any of those affairs? ED: I don't know much about the Russian projects. About the Classmate project, I was involved with it since before it got officially known – the first code I ended up writing for Classmates and Mandriva distribution was back in 2006. It was yet another project, which I was developing at MStech, which ended up integrated in the Mandriva Classmate solution afterwards. Working on the Classmate project directly, I was probably the only one to work on it from the beginning to the end – all the other developers either weren't at Mandriva when it landed; or joined the company way after the project began. So I ended up working on all phases of the projects – from the initial enablement up to developing the theft control and mesh network solutions, and finally visiting the government in Brasilia and presenting its functionality after the bidding was won. DD: You worked in so different corporate environments: Microsoft, Mandriva, now Intel. Are they any different? Where do or did you feel yourself more comfortable? ED: They are all very different. I really enjoyed working at Microsoft, and Intel is being amazing so far. Mandriva is a much smaller company, so things are very different there. In this sense, both Intel and Microsoft have close to 100 thousand employees, and they feel similar in many topics. Mandriva was a “great place to work alongside one of the most talented open-source developers out there”. But as for me, I guess I feel comfortable anywhere, as long as there are challenging and non-boring projects, lots of things to learn, and plenty of coffee. DD: What operating systems do you currently use in your work and personal environments? ED: I am using Linux as my main (and for most cases, the only) operating system for the past 12 years or so. So it is always funny for me to read all that “NNNN is the year of Linux on the desktop” news – it is my primary and only desktop for more than a decade already. While at Mandriva, I was using Mandriva as my main distribution; prior to that, I've been mostly Slackware and Arch user. However, I have worked with most of the distributions out there already in all those years. For the past months, I've been back to Arch Linux again. I just like the way it works – it is simple yet powerful enough to accomplish all the tasks you have. And when it does not has something, there is the AUR project – which is like portage-on-steroids. When someone asks me to suggest what distribution they should install, I don't have an easy answer however. Usually I recommend Ubuntu as it is the most widely available one; but for the past few years, I don't really feel like I am liking its innovations on the desktop side. DD: Other than OS, what are your favourite applications, tools? ED: I think that the only tool I cannot live without is vim (the editor). Besides it, I am mostly indifferent about what application to use – I am using Firefox and Thunderbird most of the time, but I also use Chrome and Mutt occasionally. For all the IM'ing I am using Pidgin. And for the desktop environment, I've been using XFCE for the past decade or so as my main desktop. But I also like Gnome2 and (heavily customized) KDE. I don't feel like the latest Gnome3 and Unity approaches are compelling to me. They make me feel too stupid, sometimes I just cannot understand how they work. Perhaps I am too much of a geek for their target audience. DD: New interface for Mandriva, developed by Russian ROSA Labs is very close in style to GNOME3 and Unity, although being based on KDE. How do you like it? ED: I prefer it much more than either Gnome3 and Unity. With some customizations, it became my primary desktop environment for some months, beating even XFCE. It also feels much more responsive and less “annoying” to me – in this sense, both Gnome3 and Unity always gave me an impression that were smarter than I am and always knew better than I what should I do with the desktop. Rosa environment is much more flexible in this sense, and its features do not get in one's way - at least, this is what I feel about it. The desktop development team at Rosa Labs had some great and very innovative ideas, but not all of them had landed in the Mandriva 2011 version. Just to name a few, the new launcher with integrated visual semantic search is one of the finest out there, and probably the first to try and fully explore the Nepomuk features which were present since the early KDE4 versions. The new login manager screen looks much more friendly to me; and the expanding folders plasma icons on the tray combine the Mac OS X folders features with KDE-specific technologies in a very nice way. The only thing I really don’t like in the final Mandriva 2011 UI is the window decoration, specially the Windows-like window control buttons. But these were added after I left so I had no say in the matter. In any case, I can still install old elementary theme, which is much more appealing anyway. DD: The latest version Mandriva 2011 grew in size significantly, especially because of this new ROSA-Labs development, without adding much of new functionality. Also, my own feeling is that system became heavier and slower. Do you agree? Do you think this is the right direction of system development? ED: Mandriva 2011 had probably the biggest number of innovations since the early Mandrake days – on both desktop side, and among the low-level items. Just to name a few – switch to rpm5, networkmanager and systemd by default; complete rethought of the entire boot process and init scripts; new and login and desktop environment utilities, and overall change in how the images are built and managed. Besides that, our idea was to simplify the way Desktop distributions work as a whole. Instead of providing many different choices and detailed installation screens, the idea was to streamline the installation whenever possible, and install the applications, which fit into the overall Desktop vision we had. This also involved installing all the localization and drivers automatically as well. It uses more disk space, yet, but at the same time we are in the 21th century now. And I prefer to have out-of-the-box support for all the possible hardware than saving a few megabytes of disk space and having to download-and-install many small packages when I plug a printer or a webcam for example. I know how to do it, and I can do it manually - but this is not what I expect from an integrated desktop environment. The overall slowness has its origin in those flexibility decisions though - even if we tried to optimize most operations, it is hard to foresee all the possible hardware combinations out there. Before Mandriva 2011 beta2, for example, we had extremely long reboot time - which turned out to be a bad systemd integration with old sound detection script; before Mandriva 2011 rc2, the boot was slow due to preloading of printing and network services during the boot, and not in parallel with it. And so on. In the end, my feeling about Mandriva 2011 was that it was not disappointingly bad - but it could be much better with some other optimizations, most of which landed lately in the Powerpack version. But, of course, it is possible to fine-tune it even more for individual platforms. My Mandriva 2011 testing install boots in 12 seconds, while the generic image took 32 seconds on very same machine. But then, I know exactly where to look and which services and drivers I won’t need, so I can turn them off. And still, sometimes I had to roll-back my own changes. For example, when I couldn't detect a printer on my custom install when default Mandriva installation managed to detect and configure it automatically. DD: Eugeni, do you read the blog Linux notes from DarkDuck? What would you like to see here? What should be improved? ED: I usually read it via RSS. I don't have much suggestions for improvements – I think you are doing a great job. The more open-source-oriented blogs with great content we have out there, the better! DD: You lived in so many places in your life, from Russia to Brazil. How many languages can you speak fluently? ED: I speak Russian, English and Portuguese; but I also understand Spanish (I lived 1 year in Mexico between 1993-1994), a bit of French. And I can understand some bits of Polish, Ukrainian and Italian, but just the most basic things. DD: Does it help in your work? ED: Yes, certainly! Once you know 2-3 languages, all the other ones come much easier. And it is always great to be able to communicate with someone in their native language. It is hard to speak 3 languages at the same time though (for example, translating between Russian-English-Portuguese in the same meeting). Sometimes I get the feeling that my brain is melting down while speaking different language for each phrase :). DD: Putting the Linux and computers aside, what do you do in your free time? I think I should have asked first if you have any. ED: I've been practicing music since I was 6. I used to play clarinet, oboe, trumpet, trombone, french horn, flugel horn and pretty much all the other brass instruments, but for the past 3-4 years I am mostly idle on this side. I also have greenbelt in Tae Kwon Do WTF, and I've been practicing Muay Thai for 7 years already. But for past months it is kinda idle as well. Other than that, I read a lot, and sometimes I like taking nature pictures for my flickr blog and write in my blog on technical matters. I guess those are the most important ones. DD: Do you travel a lot? ED: Working at MStech and Mandriva was a big challenge – as I lived in Sao Carlos, and had to work in another city, I was travelling up to 5000 km each month. Just the last year in Mandriva, I had to travel almost 40000km in 6 months driving :). Other than that, I am mostly travelling between local cities in Brazil. I got to live in the US for some months (Boston area and Seattle area) in 2005 and 2007, but that's pretty much it. DD: Thanks for your time, Eugeni. I wish you all the best in your new role and your projects! Hope to keep in touch. ED: Thank you – it was really nice to have the opportunity to answer those questions! Update 09 July 2012. RIP, Eugeni. Good interview. Looks like he was one of the driving forces behind Conectiva. What is the “strong” connection that Conectiva has with the Brazilian government?